Cozy Baby - Your One Stop Parenting Store. 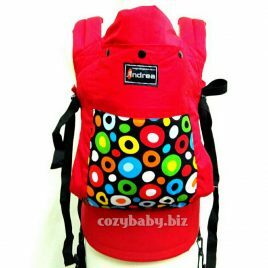 Buy Cozy Lady Nursing Wear, Natural Moms Cooler Bag, GabaG Cooler Bag, Andrea SSC and many more with affordable price. View cart “Antisoma Shawl – Cloud” has been added to your cart. Comes with free 1 ice packs. Thermal compartment with thick insulator that keeps your content cooler up to 21 hours. Size: 10.5inch (length), 7inch (width), 5.5inch (bottom height), 7.5inch (top height).